13th January 2018 marked a significant development in the banking ecosystem when a new directive called Open Banking came into force. This has the potential to disrupt the UK financial services sector and transform the way we handle money. The Open Banking programme is designed to open up banking data, forcing the UK’s nine largest banks to share their data in a secure, standardised form with other authorised organisations online. This data in its simplest form contains information about branches and banking products, for example whether a branch has disabled access or key features of banking products. Authorised organisations can then share data via secure application programming interfaces (APIs), making the financial services industry more transparent, open and competitive. New apps could be developed, for example to show the location of the nearest bank with disabled access, or to compare banking products in real time to help consumers get the best deal. Financial services companies with existing banking, payments or accounting apps could add further value to their services, by adding new features that use data available through Open Banking. While tools are already available that aggregate this kind of data, Open Banking goes further because it also allows sharing of customers’ financial data (with consent) and that presents a great opportunity for financial services companies. There are many applications that this has; from helping consumers manage their money better, to driving efficiencies and cost savings in the financial services sector. Some of the incumbent banks are moving fast to comply with new regulations (by opening up their APIs) and get ahead of the FinTech challengers by developing their own open banking applications. HSBC has launched a beta app that allows their customers to see all their bank accounts on one screen, including accounts with other rival FSIs. Barclays will also launch a similar solution this year so that their account holders can view all accounts from other providers through the Barclays Mobile Banking app. Open banking will make moving money between accounts, switching providers and managing money that much easier: no need to log in to different banks’ online or mobile apps when everything can be viewed in one place. Transferring data securely presents another opportunity for FSIs and 3rd party providers. Instead of scanning paper bank statements or downloading PDFs to share with lenders – for example if a consumer or your business was applying for a loan, mortgage etc. – open banking allows account holders to share this data online. Rules could also be set to ensure only certain data is shared, so if you’re only required to show incomings, not outgoings, only this data is made available. Sharing data in this way has many advantages for those companies handling the data. Instead of having to extract information from a pdf or paper copy and input it into your system, data can be transferred quickly and accurately saving time and reducing errors. While Open Banking potentially opens up the financial services sector to new start ups and 3rd party providers, in some areas it can cut out the middlemen. 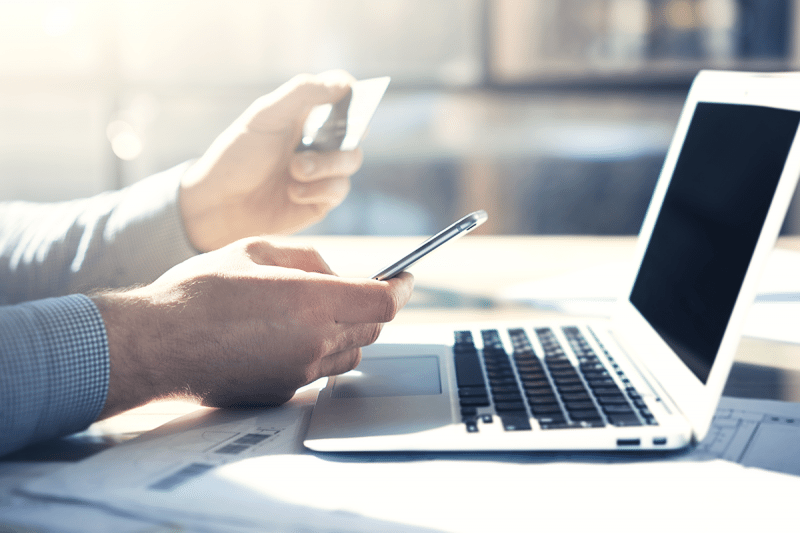 Payments is a case in point; and the Open Banking directive also coincided with the EU’s Second Payment Services Directive (PSD2), which sets out to increase competition in the payments industry and provide more scope for different ways to pay. Open Banking has the ability to cut out middlemen like the card companies (VISA, MasterCard etc.) when making online payments, allowing consumers to make payments directly from their bank account; quickly and cheaply. There are benefits for organisations that take online payments too, reducing payment processing fees and speeding up the time it takes for funds to be transferred to their deposit account. How Secure Is Open Banking? Of course, any new digital development that involves handling data, and especially financial data, is going to raise alarm bells about security. However, Open Banking is no less safe than other online banking solutions and only 3rd party providers who are approved by the FCA can use the system. Regulations are in place to ensure that data is secure using two factor authentication, and Open Banking will actually reduce the need to share online banking login details with lenders or financial services providers. For more on Open Banking this website from the Open Banking Implementation Entity (created by the UK’s Competition and Markets Authority) provides information on software standards and industry guidelines.